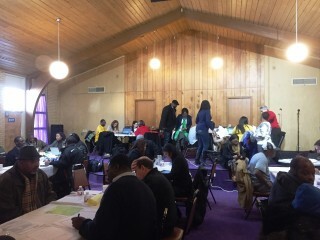 The Memphis Bar Association hosted its inaugural Expungement Clinic and Resource Fair in Shelby County on Saturday, December 10, 2016. The event was held at The Healing Center Full Gospel Baptist Church in partnership with the Access to Justice Commission’s Tennessee Faith & Justice Alliance. The legal community responded to the need for education and assistance with expungements with nearly 50 attorneys, paralegals, and law students donating their time. 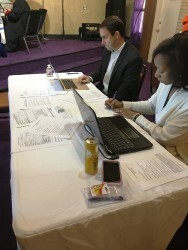 Volunteer attorneys reviewed criminal records and gave free legal advice to over 315 attendees. Over 900 people registered for the event, so the Memphis Bar Association is working with the Clerk’s Office to follow up and process expungement requests of non-convictions for those who were not able to be seen on-site at the event. 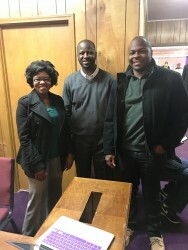 The Memphis Bar Association, Ben F. Jones Chapter of the National Bar Association, and Greater Memphis Paralegal Association sponsored this event. The Shelby County General Sessions Clerk’s Office, Shelby County Criminal Court Clerk's Office, General Sessions Criminal Court Judge Loyce Lambert-Ryan, and Criminal Court Judges Paula Skahan and Mark Ward provided their support of this effort. Expungement is a court-ordered process where the legal record of some criminal cases can be erased in the eyes of the law. In Tennessee, only certain criminal records can be expunged. Some cases can be expunged without any fees. Visit TNCourts.gov/expungements here for more information about expungements in Tennessee. You can find more information about the Tennessee Supreme Court's Access to Justice Commission here. For more information about the Tennessee Faith & Justice Alliance, please click here. Volunteers ready to greet clinic attendees. Volunteer attorneys look up criminal histories for clinic attendees.